Today.Az - What benefits can Azerbaijan get from Free Economic Zone? What benefits can Azerbaijan get from Free Economic Zone? 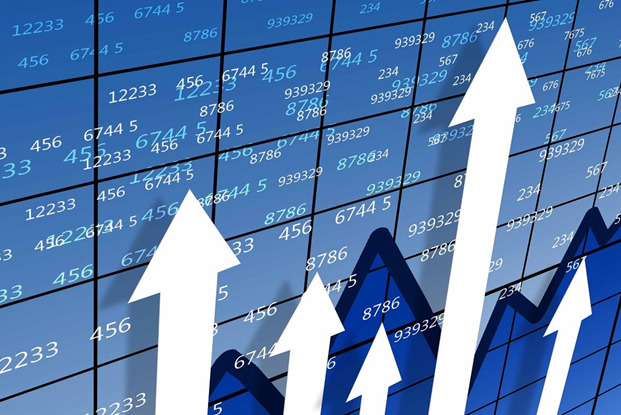 The creation of the Free Economic Zones (FEZ) can help to attract foreign investors, create new jobs, increase the labor force capacity, increase the economy not only of the country, but also of the region, President of the World Free & Special Economic Zones Federation (FEMOZA), Juan Torrents, told Trend. He emphasized that FEZ gives economic benefits to operators and social benefits to the country. Touching upon the points that may cause inefficiencies in the work of FEZ, he named the creation of FEZ without a previous pre-feasibility study, creation of a Zone without the market evaluation of the country and region, operation of a Zone with a national budget (a Zone has to be self-financed) etc. Answering the question about what it takes to setup a FEZ, Torrents said that the first step is to create a legislative framework. "It is also highly recommended to create a National Free Zones Authority, in order to control them. It is easier and offers flexibility," the FEMOZA president noted. He went on to say that in order for the FEZ to be successful, it is needed to create favorable infrastructure, a modern management model. "The Free Zone operator has to be a facilitator of services to the tenants, be flexible in the application of law and customs procedures, to implement always the latest technologies as blockchain," he said. Torrents also said that Azerbaijan is in the route of FEMOZA’s Digital Silk Road Parks. FEMOZA’s Digital Silk Road Parks envisages a network of Free Economic Zones in Asia and Europe on the millennia-old route of the original Silk Road. Further, he emphasized that in the last decades, Free & Special Economic Zones are the most important destinations for foreign investment projects, because they offer all critical points, such as strategic location, infrastructure, facilities, incentives, labor force, services, security and comfort to develop activities and production process. The FEMOZA president underlined that the most critical requirement of a successful Free & Special Economic Zones is the location. "Location means easy communication with ports, airports, other countries," he said. Moreover, he assessed positively the location of the FEZ in the village of Alat in the Garadagh district of Baku. "I visited Baku with a Mission of the United Nations Industrial Development Organization (UNIDO) in 2007. The Mission was sent to analyze the implementation of the first FEZ in the country," he said. Azerbaijan is keen to further leverage its transit and logistics potential by transforming the transportation system and services into one of the key advantages of its economy. The FEZ is being created in the village of Alat on the basis of the presidential decree signed in March 2016. The territory of the new Baku International Sea Trade Port is also included in this zone. 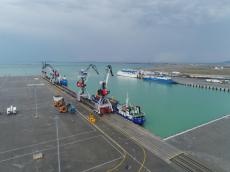 The Baku International Sea Trade Port in Azerbaijan’s Alat settlement is expected to become one of the leading trade and logistics hubs of Eurasia. The implementation of all 3 phases of construction is projected to increase the capacity up to 7,660 tons on a daily basis. Once the first phase ends, the Baku International Sea Trade Port will be able to receive up to 10-11 million tons of cargo and process 50,000 containers per year. The second stage will provide for the handling of 17 million tons of freight and 150,000 of containers, while the implementation of the final stage is projected to increase the capacity up to 25 million tons of freight and 1 million of containers. The new Port of Baku is located on an area of 400 hectares (ha) of land, of which about 100-115 ha cover the area for the development of the international Logistics and FEZ. The northern areas around the port are reserved for future expansion of logistics, industrial, and manufacturing activity. The FEZ is expected to bring up to $1 billion just in the first few years. Special tax and customs policy, which will be pursued in the territory of the free trade zone, will also stipulate further development and simplification of a number of procedures. Since the new port is being built at the major railway juncture connect­ing the North-South and the East-West railway lines in Azerbaijan, FEZ will also have rail access. Serving as a multimodal transit logis­tics hub, the new port and FEZ will become a major consolidation and distribution centre in Central Eurasia that provides a wide range of value added services.